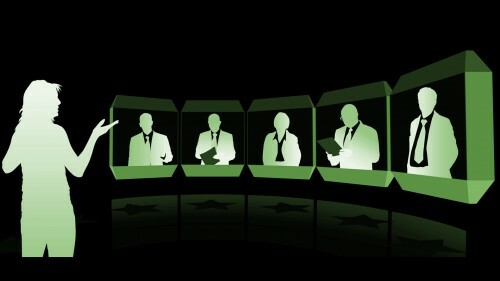 The Willow Group is pleased to offer state-of-the-art videoconferencing rental services in-house. Our space is equipped with a Lifezsize Room 220, allowing for mutli-site video conferencing using the integrated onsite video conferencing bridge. The Room 220 uses standards-based video conferencing, allowing it to communicate with any other standards-based unit such as Cisco, Polycom, Legacy, Tanburg units and many more. Communicate with any federal government video room, law offices , medical professional ( non-medical application) as well as courtrooms across Canada. The Room 220 also allows for a laptop to be connected to the sharing port. Send your presentation to all participants and be heard and seen across the board with split screen. Our space is also equipped with a SB 8055i LCD SMARTBOARD with Meeting Pro. Showcase presentation content, integrate video links and web pages, manipulate objects and create new slides with the swipe a finger. Convert office docs into PPT slides in less than 5 seconds, annotate and manipulate those office docs to fit your presentation needs, all in the same moment. Communicate with any federal government video room, law offices , medical professional ( non-medical application) as well as courtrooms across Canada. Unsure how to use this technology? Book a SMARTBOARD training session with a professional trainer and upgrade your skills to include interactive technology. Learn how to use SMARTBOARD for your organization and save time and money. Training sessions can be combined with hardware purchase or as a stand alone training program for those that want to use the SMARTBOARD in our space. Contact us for more information and for videoconference or SMARTBOARD rental pricing! Our success reflects the significant effort, competence and cooperation that The Willow Group's team brought to the table. Above all, we appreciate your commitment to our goal and your willingness to participate fully as part of our team.